Rovner ligature and cap sets are great value and very popular. 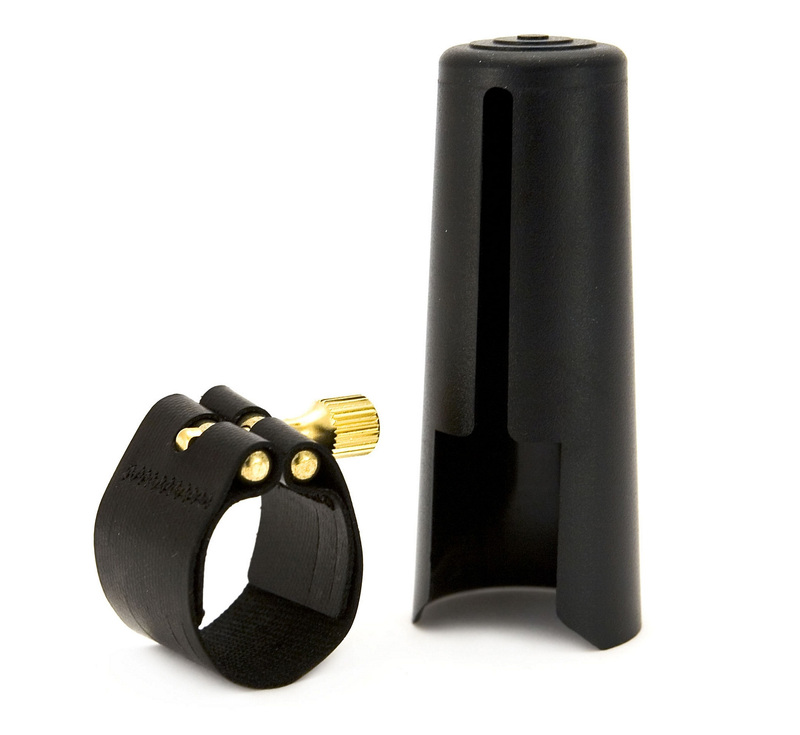 This ligature and cap is suitable for most ebonite alto saxophone mouthpieces, and some slim tenor ebonite mouthpieces, including Larsen and some Vandoren. This ligature is from Rovner’s Light range which is suitable for a bright sound. The cut out design in the leather makes it more responsive than the dark version. It is suitable for all varieties of music, great for the portfolio musician. Very good ligature which is easy to position correctly and doesn't damage the mouthpiece. I've found these Rovner ligs to be the least fussy but best performing ligs around. I use them on Clarinet and Sax and they work, the screw stays put, they don't send the reed screwy...easy.